Vera Burris Warren was born in Albemarle, NC on December 17, 1930 to parents Arthur Cole and Mae Bost Burris. She graduated from Albemarle High School, Class of 1949 and from Watts Nursing School in Durham, NC. She also attended UNC Chapel Hill for advanced nursing education. Vera met her future husband Gene, a graduate student at NCSU, at a dance in Raleigh's Memorial Auditorium. They soon became inseparable and married in 1954. After Gene's graduation, they moved to San Juan De Los Morros in Venezuela, South America for 7 years. Vera, Gene and their three children moved to Williamston, NC for 1 year and then to Raleigh in 1963. The family then moved to Guayaquil, Ecuador for another 3 years. After returning to Raleigh, Vera worked as an RN at Rex Hospital for many years before working as an industrial nurse for IBM until she retired in 1992. 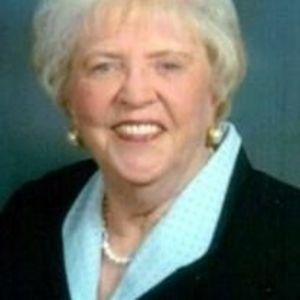 Vera was a very active member of Ridge Road Baptist Church, and was a member of the Woman's Club of Raleigh serving as the House Chair for several years. Vera loved to travel, visiting 45 states and 39 countries in Africa, Europe, the Holy Land, South America and Australia. She was preceded in death by her daughter Joy Elizabeth, (1967). She is survived by her husband of 63 years; son, Dr. Mark Warren (Kemper) of Greenville, NC; daughter, Janet Klas (David) of Wellsville, Pennsylvania, five grandchildren (Browne, Eason, and Hunton Warren, Joy Reynolds, Katrina Dahlgren, and two great-grandchildren, Gregory Carrell, Eleanor Grace Dahlgren). A celebration of Vera's life will be held on Saturday January 13, 2018, 2:00 pm at Ridge Road Baptist Church in Raleigh. Memorial contributions may be made to, her beloved Sunday school class, The Bill Gibson Class at Ridge Road Baptist Church, 2011 Ridge Road, Raleigh, NC 27607, or Amedisys Hospice, 220 New Fidelity Court, Garner, NC 27529.